Attention to detail is crucial in hospitals, both in caring for patients and in protecting confidential information. After recent data breaches across large businesses, more eyes are on the Health Insurance Portability and Accountability Act (HIPAA). It’s becoming increasingly important to stay proactive with data security. Continue reading to learn how hospitals can stay up-to-date with the latest cloud technology while implementing processes to protect the most important information—that of patients. Under Title II of HIPAA, healthcare organizations are required to secure information in order to stay compliant with HIPAA and the Department of Health and Human Services (HHS). If hospitals aren’t in compliance, not only can they be fined, but their confidential data will be more vulnerable to attackers. By putting data security systems in place, your organization can avoid unnecessary costs and data security breaches. How advanced are your information systems? The HITECH Act of 2011 encouraged hospitals to move patient records to the cloud and offered financial incentives to do so. 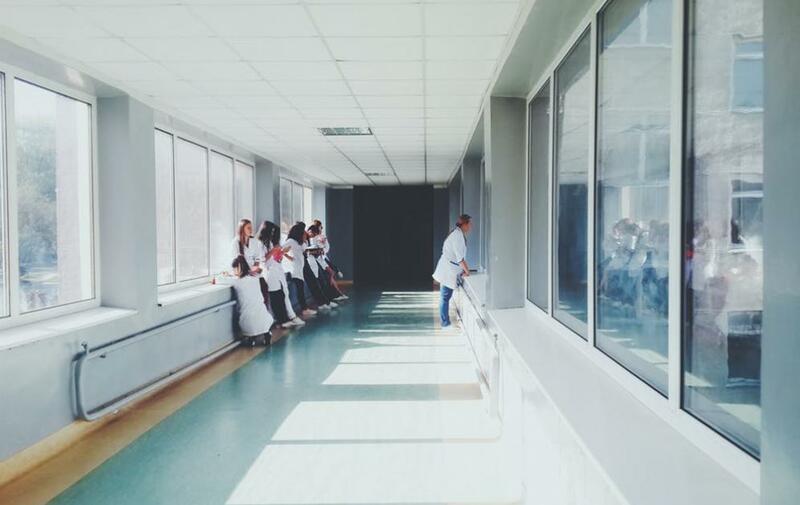 However, since so many healthcare institutions were focused on going paperless and moving information to a digital space, security became a lesser priority. Many organizations dangerously assumed that security came as part of the cloud and unknowingly created vulnerabilities for attackers to get in. Once hospitals move information to the cloud, healthcare solutions such as encryption and security, print tracking, and document management will help keep office processes streamlined and secure.